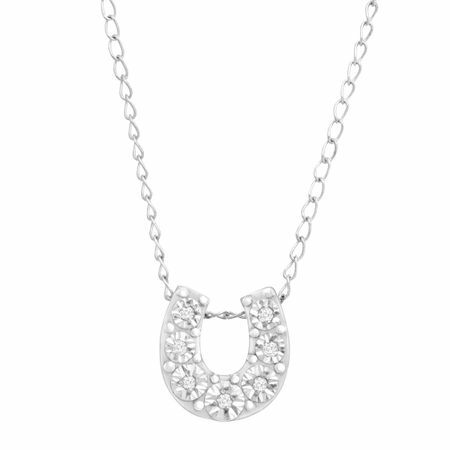 Have luck and style on your side with this diminutive horseshoe pendant. Round-cut diamond accents line a stylized form crafted in sterling silver. Piece measures 5/16 by 5/16 inches. Comes with a sterling silver 17-inch cable chain.